Phyllida Lloyd (Mamma Mia!) 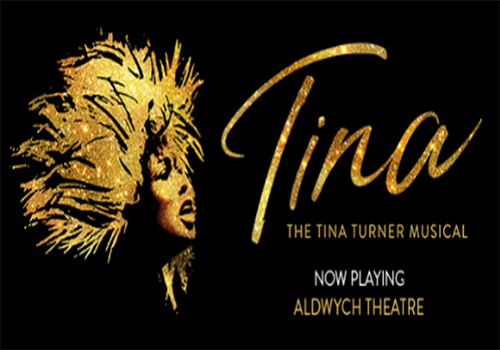 directs the world premiere of dazzling musical Tina: The Tina Turner Musical at London’s Aldwych Theatre. Detailing the backstory of one of the world’s most famous rock ‘n’ roll performers, is the stunning production that brings to life Tina Turner’s rise to fame, set against a backdrop of some of her greatest hits. Starting out life humbly in Nutbush, Tennessee, Tina went on to overcome the restrictions of her gender and race and of an abusive relationship to conquer the world of rock 'n' roll on a global scale. Tina traces the devastating lows and the joyous highs of the legend's life and showcases beloved songs like “Proud Mary”, “What’s Love Got to Do With It” and, of course, “Simply the Best”. Featuring a stellar cast and perfectly distilled story line, Tina: The Tina Turner Musical is a must-see for any fans of the lady herself, but also for musical fans everywhere. The Aldwych Theatre’s box office is located within the theatre building and is open Monday - Saturday: 10am – 8pm. Tickets can be arranged for collection at the box office and may be picked up on the day from an hour before the performance starts. You will need to take the credit or debt card you paid with and your booking reference number as proof of purchase. Opening in 1905, the Aldwych Theatre was built as part of a pair with the adjacent Waldorf Theatre (now the Novello Theatre) and premiered a Seymour Hicks pantomime named Blue Bell. Hicks' productions were popular at the theatre and included Bath of Beauty (1906) and The Gay Gordons (1907). Between the 1920’s to 30’s the Aldwych Theatre was renowned for its ten year season of twelve farces, dubbed The Aldwych Farces. Many of these farces were written by Ben Travers. Laurence Olivier directed a hugely famous version of Tennessee Williams' A Streetcar Named Desire (1949), starring Vivien Leigh. Leigh later went on to play the same role in the 1951 film, scooping an Academy Award in the process. In the 1960's to 1980's, the Royal Shakespeare Company uses the theatre as their second home, sparking the Aldwych's second golden age. Productions transferred to the Aldwych Theatre from Stratford-upon-Avon, earning wide critical acclaim. Notable performances included The War of The Roses (1965) and Nicholas Nickleby (1979). By the end of the 20th century, plays began to take a back seat at the Aldwych Theatre, as musicals became the new tradition. Andrew Lloyd Webber's Whistle Down The Wind (1998) famously took to the stage, followed by Fame – The Musical (2002), which ran at the theatre for four consecutive years. 2006-2011 saw a five-year run of Dirty Dancing – The Classic Story on Stage, which continues to tour the UK. In 2012, Kenneth Wax's production of Top Hat danced into the venue, winning an Olivier Award for Best New Musical. Closing after one year, Lloyd Webber's new venture Stephen Ward the Musical opened in December 2013. After receiving a mixture of negative reviews, the unfortunate production closed in March, marking just over three months in the West End. Spring 2014 saw acclaimed productions of Hilary Mantel's popular novels Wolf Hall and Bring up the Bodies transfer to the Aldwych, following a sell-out run in Stratford-upon-Avon. Strictly Come Dancing's Vincent Simone and Flavia Cacace danced into the building in their show Dance 'til Dawn, which closed in early 2015. 2015 saw the arrival of Broadway sensation Beautiful: The Carole King Musical, earning several Olivier Awards in the process. The much-loved musical closed in August 2017, before embarking on a UK tour. Spiegeltent favourite La Soirée landed at the Aldwych over Christmas 2017, bringing it's sister show La Petite Soirée and using a general admission ticketing system that saw the Stalls transformed into cabaret-style seating. 2018 saw the theatre completely refurbished, launching with the highly-anticipated, five-star new musical Tina: The Tina Turner Musical.